Before unicorn treats flooded your Instagram feed, there was another ingredient that took the internet by storm: Nutella. Now a longstanding dessert favorite, you've no doubt come across some outrageously delicious recipes based on the addictive hazelnut-chocolate spread. If you haven't—or if you simply needed more ideas—look no further than these best of the best. 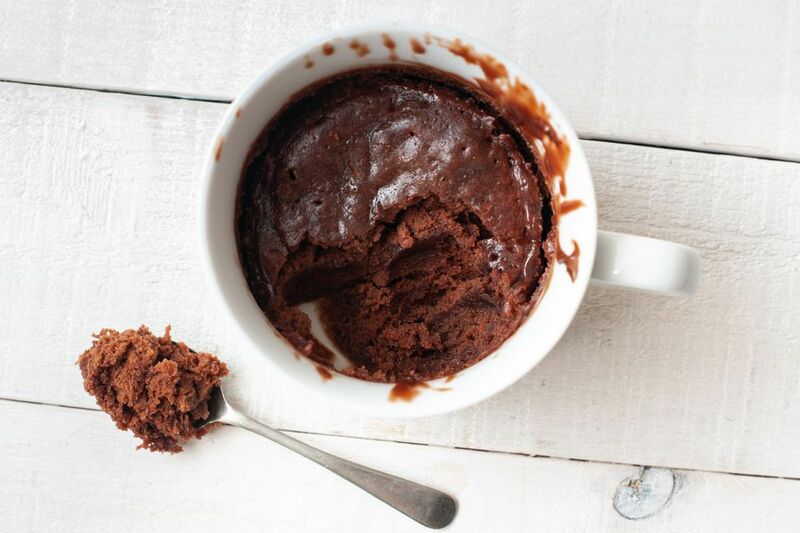 A Nutella mug cake is the perfect hybrid of two great food trends. The recipe only takes a total of seven minutes to whip up this delicious dessert, perfect for when you're craving something sweet. Add an extra dollop of the hazelnut-chocolate spread on top as frosting and you've got a winning sweet snack. You'll fall head over heels for these raspberry Nutella hearts, which are perfect for Valentine's Day or anytime you want to show some love with a delicious breakfast treat. Using store-bought frozen puff pastry—or crescent roll dough if that's what you have on hand—means it's super easy to whip up. These Nutella cake pops are made out of moist chocolate cake, Nutella, chocolate candy coating, and chopped hazelnuts. If you don't have lollipop sticks on hand, you can skip the "pop" part and leave them as cake balls, which are just as delicious. Upgrade breakfast with French toast that's stuffed to the brim with Nutella. Topped with raspberries, maple syrup, and a dusting of powdered sugar, this is a hard-to-beat morning meal. Just make sure not to overstuff or you'll be left with a big mess to deal with! With so many variations cereal treats out there, a Nutella version was bound to happen. Studded with chocolate chips and hazelnuts, this is a brand new take on an old favorite that you'll love. What's a list of Nutella recipes without crepes? This classic combination features the thin French pancakes filled with Nutella and strawberries. The trick to perfect homemade crepes is leaving the batter to chill in the fridge before you begin. This is a great twist on the classic Oreo truffle. There's a lot of potential for creativity here since you can customize with different colored chocolate drizzles. White chocolate makes for an elegant standout design since it pops against the brown coating. Here's a fun breakfast for mornings when you have to feed a crowd. The French toast casserole is actually made with croissants and cream cheese to up the decadence factor. Add some berries of your choice and powdered sugar for a simple, yet pretty presentation. With Nutella as a delicious stand-in for tomato sauce, nothing beats a dessert pizza! The kids will love customizing their own personal pies with any manner of fruit and candy toppings. Here's another fun way to brighten up the morning. Make breakfast sushi with tortillas, Nutella, peanut butter, cereal, and fruit fillings. Serve with raspberry jam as a sweet dipping sauce. Get nutty with this easy recipe for Nutella and hazelnut bars. Perfect as a weekday dessert, these sweet squares are just the right level of rich and chocolate-y. Feel like you're missing out on the fun by eating vegan? Never fear—here's the best recipe for vegan imitation Nutella. Learn what all the fuss over this spread is all about without having to break your diet. This classic Italian crostata can be made with jam, fresh fruit, or Nutella. With a handmade pastry shell, the dessert takes the best of traditional Italian baking and updates it. Three ingredients, 15 minutes—that's all it takes to whip up this swirled fudge. With both chocolate and white chocolate chips and Nutella, the squares are a perfect edible gift for the chocolate lover in your life. Your idea of grilled cheese will never be the same again after trying this over-the-top recipe. 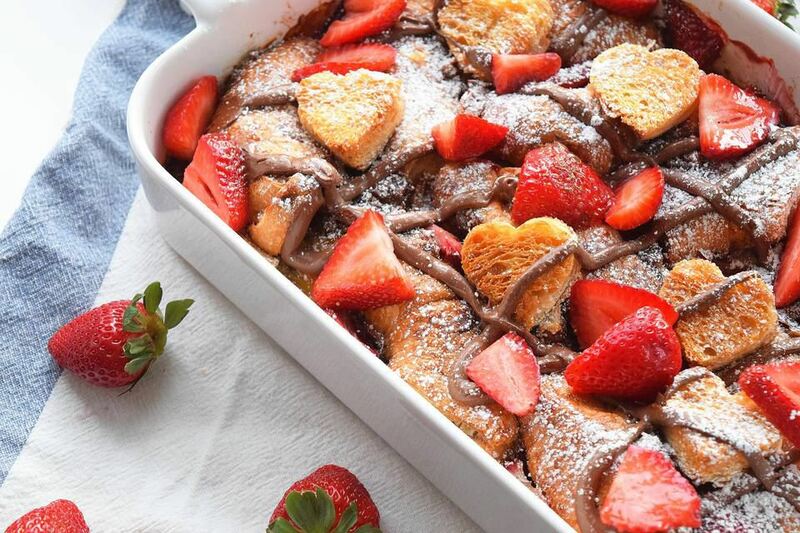 Battered French toast stands in for regular bread, sandwiching mascarpone cheese, Nutella, and strawberries to form a luxurious dessert. Looking for a way to get your kids motivated in the morning? Try these adorable pancake skewers with tiny homemade flapjacks, sliced strawberries, and Nutella. This one will make you rethink the definition of a sandwich melt. Cheesecake, Oreos, Nutella, and jam layered between two pieces of delicious cinnamon swirl bread? Sweet tooths couldn't ask for more. Puff pastry makes this recipe beyond easy and Brie and Nutella are a savory and sweet match made in heaven. The bite-sized pastries are perfect for serving at parties or as a sweet breakfast treat.